This post will show you where to while in New Orleans. If there is one thing that that town is known for… it’s delicious food. 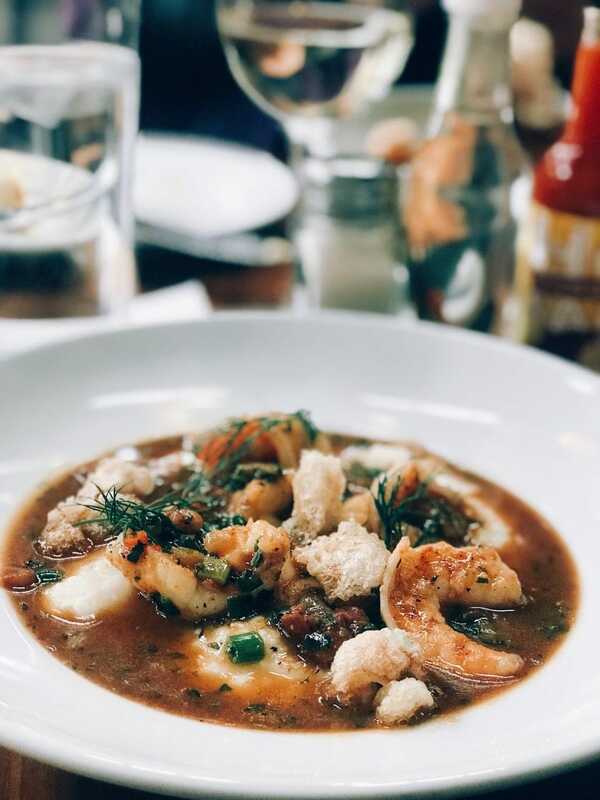 I documented all of my favorite eateries and local restaurants and rounded them up in one place for you to reference the next time you take a vacation to the Big Easy. And BOY do I hope it’s sooner rather than later. I have been talking about New Orleans to all of my friends ever since I got back home. I cannot get over how much I enjoyed that trip with my bestie, Audrey McClelland. We packed so much into our extended weekend, but that doesn’t mean that I am through with that city. The south has stolen my heart and my soul! I’ve already told you about the things to do in New Orleans. 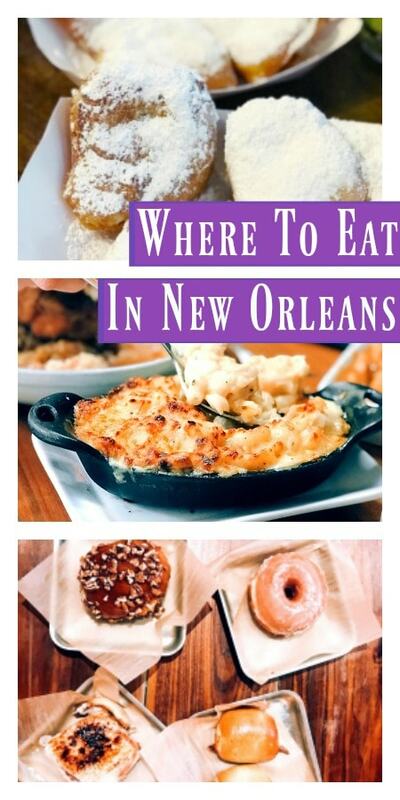 Now, I want to focus on where to eat in New Orleans. You need to know both in order to have a well-rounded visit. Thank you to the New Orleans Convention & Visitors Bureau for sponsoring this post. I want to get this right out in the open. You can’t discuss food and New Orleans without bringing up beignets. There is a lot of talk about beignets and I can tell you with absolute certainty that I found my favorite ones from Cafe Beignet. Now, this isn’t the most FAMOUS spot in the French Quarter. Other people will try to tell you to go elsewhere… but listen to me, friends. This is the real deal. I am CRAVING to go back just so I can have breakfast at this eatery again. We didn’t know what to expect when we walked inside. People were eating a variety of meals – not all topped with powdery sugar. But we went right for the gold because we just HAD to give it a shot. And BOY were we not disappointed. Warm and fluffy, light and filled with delicious goodness. A must visit! My husband is going to New Orleans in a few weeks and this is the only place that I told him that he has to visit for beignets!! Next up we have Mr. B’s Bistro which is located right on Royal Street in the French Quarter. We had the most delicious and cozy dinner. Fine dining and great conversation – what more can you ask for? We didn’t have reservations and were able to get in, but I would highly recommend you calling ahead. This place was PACKED. 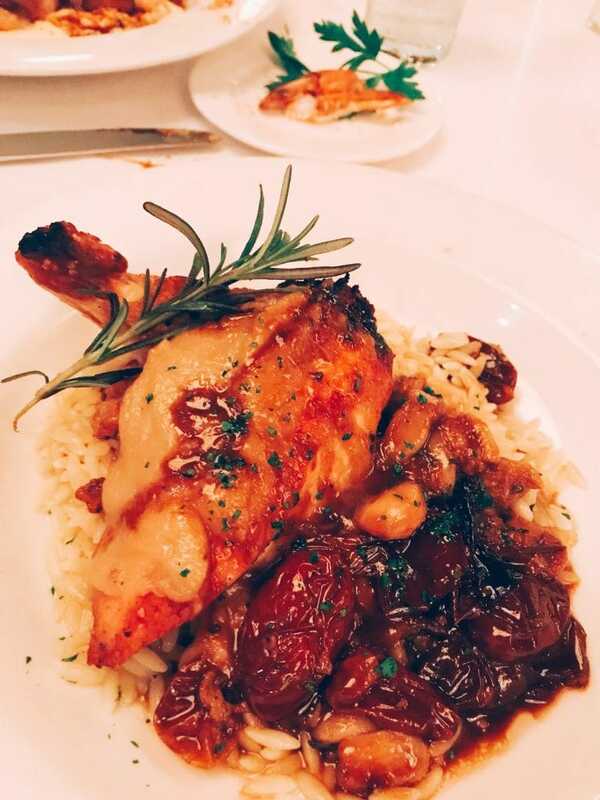 If you are a chicken lover, I would TOTALLY suggest you get their roasted garlic chicken dish. I ate the entire thing- to the point that the waiter joked about how hungry I was. It was divine. And then the dessert… I mean. I think this picture speaks for itself. Dripping in chocolate and filled with rich and creamy ice cream, this masterpiece was a total showstopper. Just because I showed you a dessert, doesn’t mean I am done! One of the most surprising dishes that I had down in New Orleans came from Meauxbar. I actually still think about this one. Yes, I am a foodie if you haven’t noticed. It was their “daily yak-a-mein” and I am STILL obsessed with it. Vegetables, noodles, chicken, and bacon added up to the perfect combination for my taste buds. They need to open up a satellite restaurant in New York because I can’t go that much longer without having this again. This was actually the first meal I ate during my New Orleans trip. 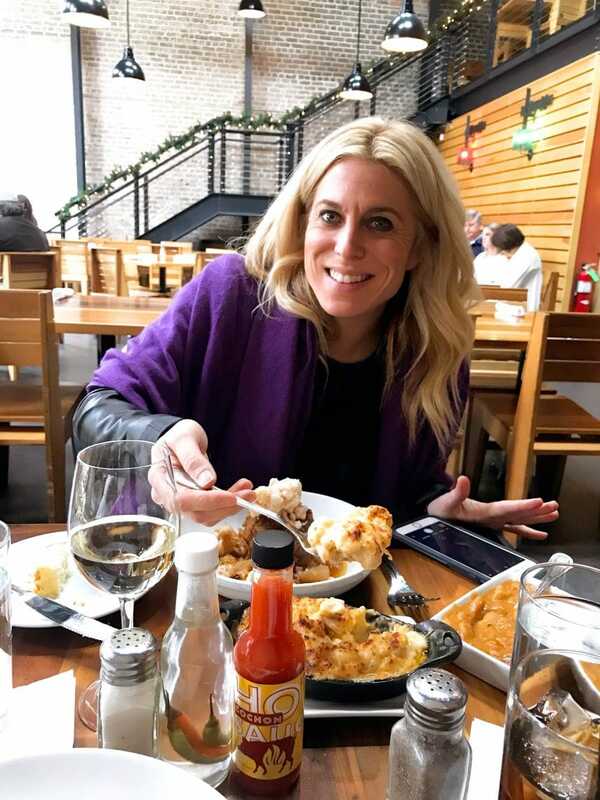 We wanted to go with something completely authentic and that led us to Desire Oyster Bar right on Bourbon Street and next to my hotel – Royal Sonesta. 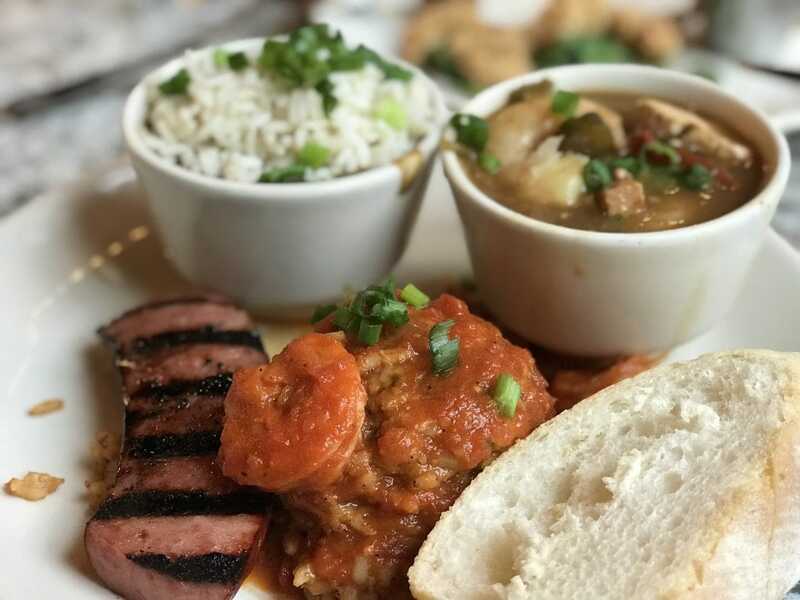 Between red beans and rice, jambalaya and grilled sausage – I was ready for some heat! 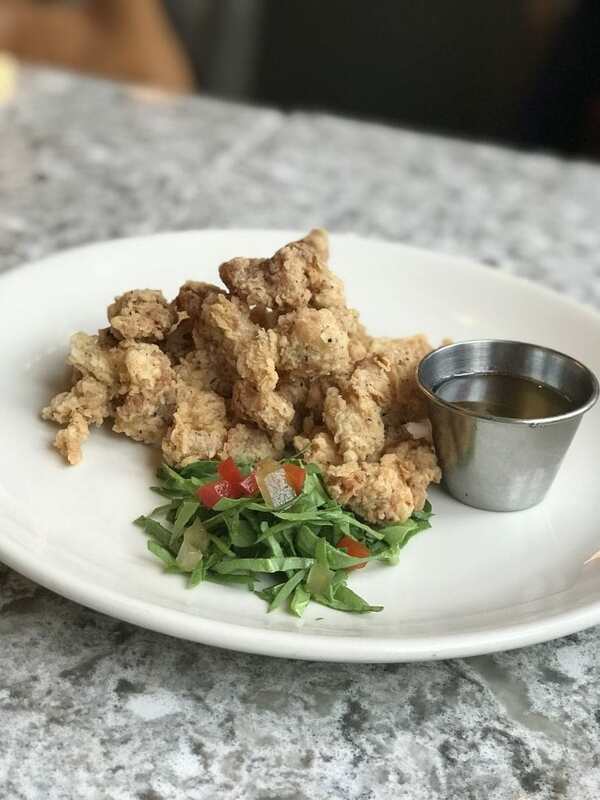 Oh, and did I mention fried alligator? WHAT?! I had to – I just had to!! It was delicious and super fun to try. The line was halfway down the block. It was pouring. I’m talking about an absolute downpour and there were still people in line. We had no clue that this was the place to be! The service is quick. The waiter knew exactly how much changed I needed before I even gave them any cash. The turnover is super speedy but the beignets and café au lait warrant a visit for sure. Cafe Du Monde also sells merchandise and batter mixes in case you want to bring a little New Orleans home with you. You know I love a good souvenir. We went crazy overboard at District Donuts because we simply couldn’t decide what to eat. It all looked that good!! This location is not inside the French Quarter. 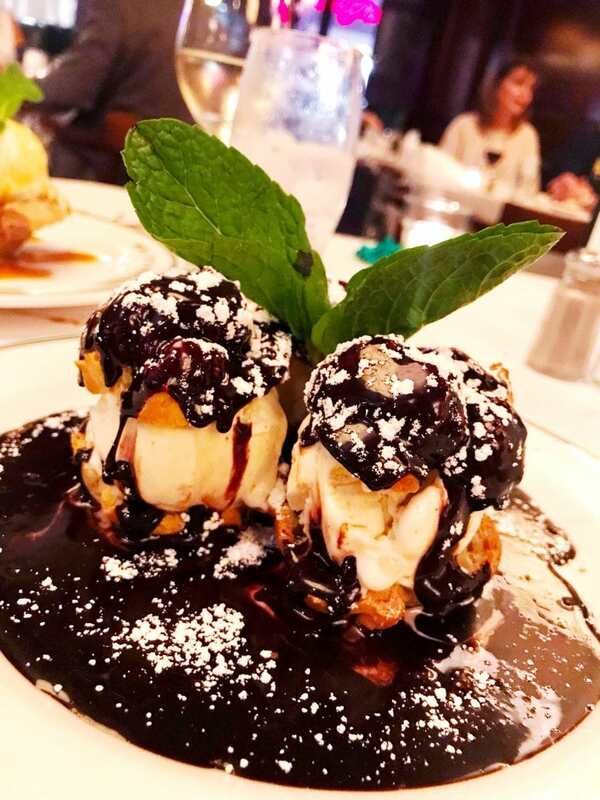 You will instead have to venture out to the Garden District to indulge in these sweet treats. The longer we sat, the more packed the location became. Get there early and go hungry! This is definitely a local favorite!! Lines started to form outside of the door once we were leaving. 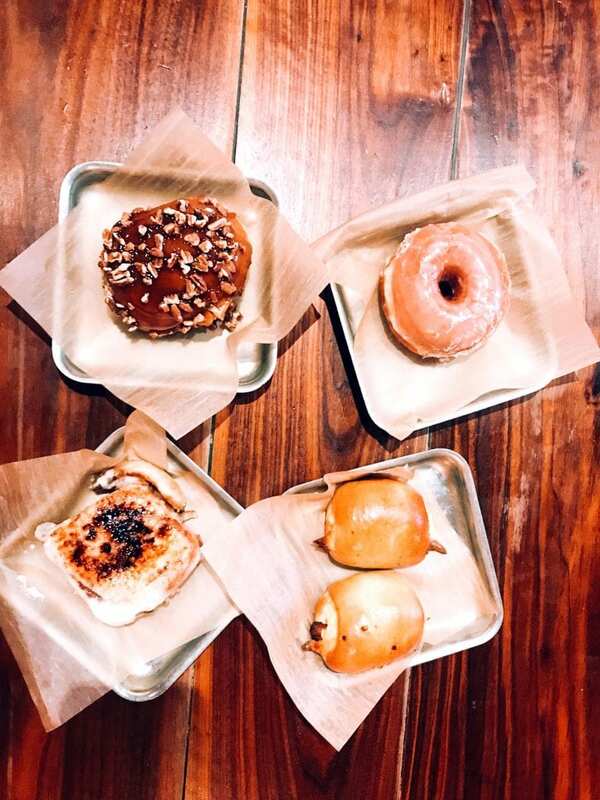 And don’t worry – if you aren’t a donut fan, there are other options for you to choose. A griddle and everything!! Truly – a must visit breakfast spot. 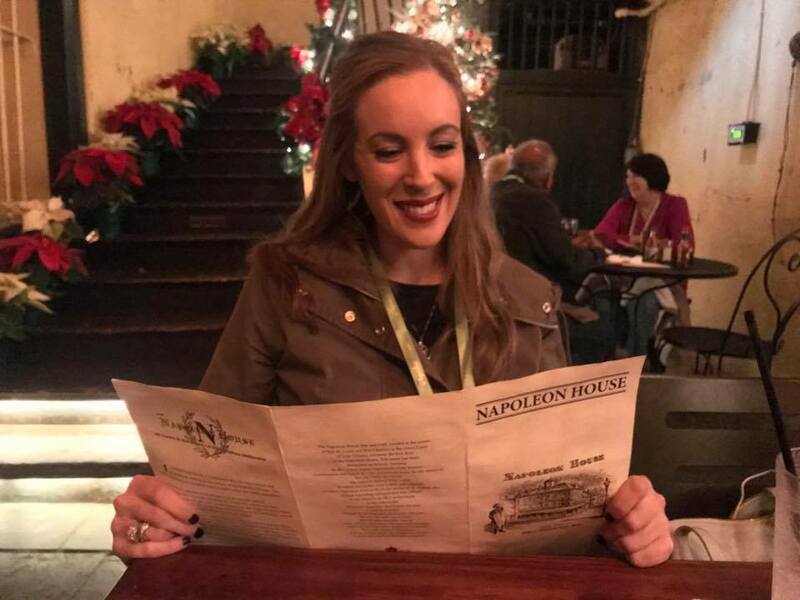 The lighting wasn’t so great in this space which meant that we couldn’t get many photos of our meals – but the Napoleon House is a nice spot to stop for a casual meal. The location is more than 200 years old which means there is a lot of history within their walls. It’s actually one of the most famous bars in America! We opted to sit in their outdoor space which had such a nice vibe. Again, the entire town was decorated for the holidays. So, no matter where you turned, there was always something festive waiting for you. 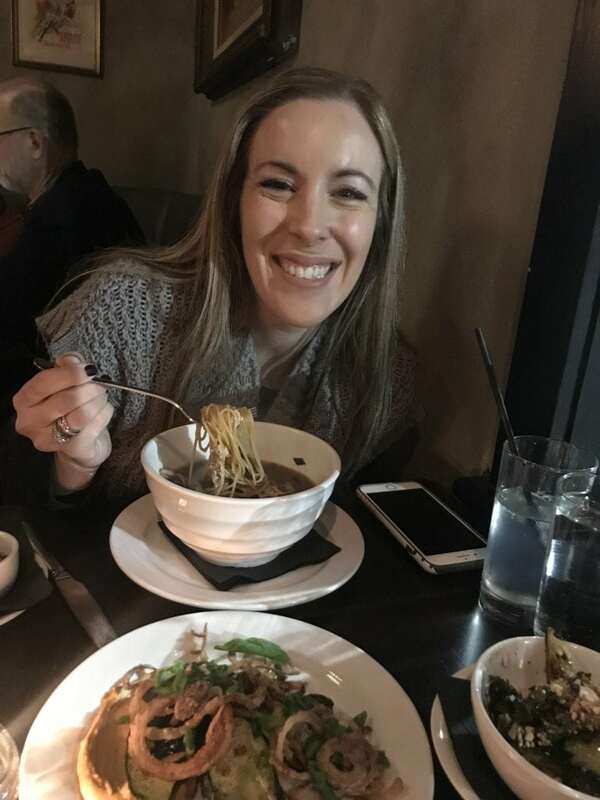 A very friendly staff and a warm meal – what more can you ask for? 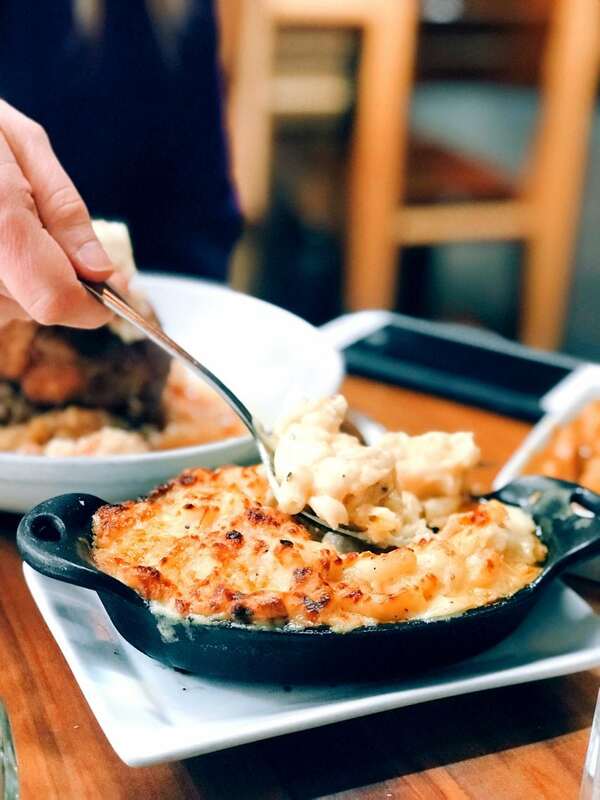 If you happen to visit The National World War II Museum, the Cochon Butcher is the perfect place to stop and have a bite to eat. It’s HUGE and the vibe is very much like that of a loft. 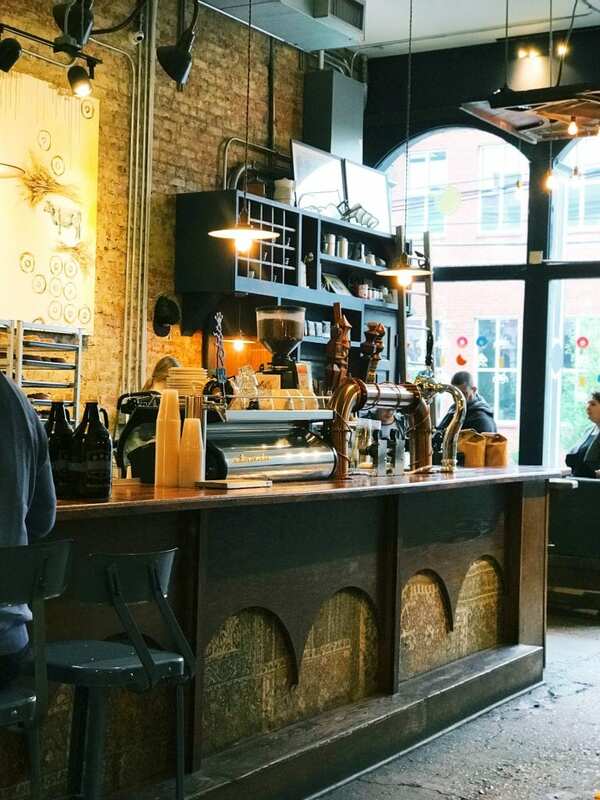 Open spaces, exposed brick and wood and very high ceilings – I loved the airiness of the space. But nothing beat the mac and cheese! The creamiest!!! We also enjoyed shrimp and grits. Divine! You can’t go down to the South without trying some of their typical dishes, right? One great meal after the next when you know where to eat in New Orleans. I hope I gave you enough options to get you started on your next trip down to New Orleans. 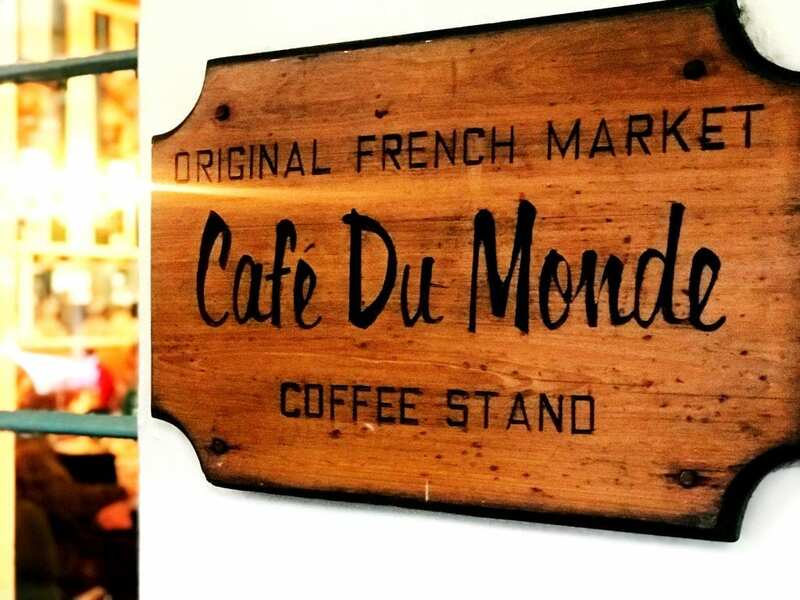 There are so many great eateries in the French Quarter and beyond! Try as many as you can while you are visiting!! Honestly, New Orleans is a great place for a foodie tour. 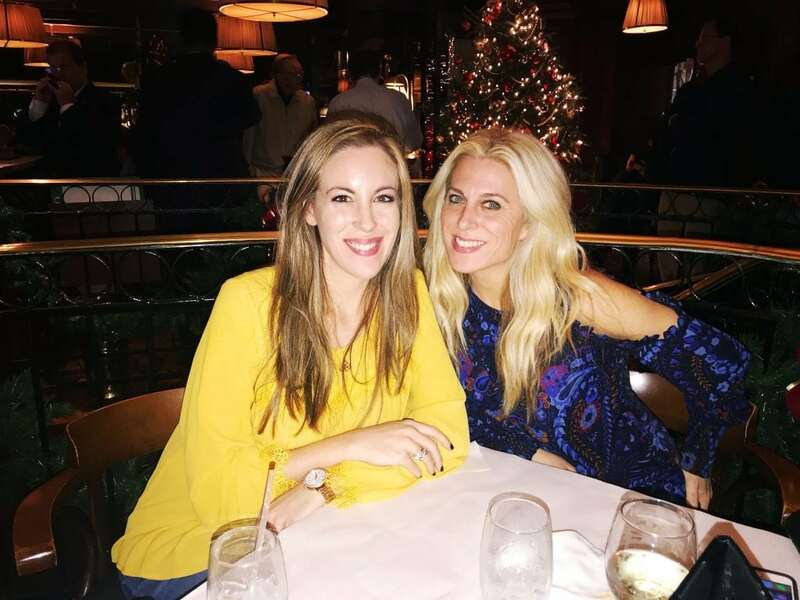 If you and your bestie simply want to go somewhere that you know will offer amazing food, drink, and entertainment — this is IT! You don’t have to look any further. Have you ever visited New Orleans before? What was your favorite meal? I hope I’ve given you plenty of suggestions. Enjoy your next trip! Really looks like you ladies had a fabulous time together. All the food looks so good but the shrimp and grits look absolutely tasty. 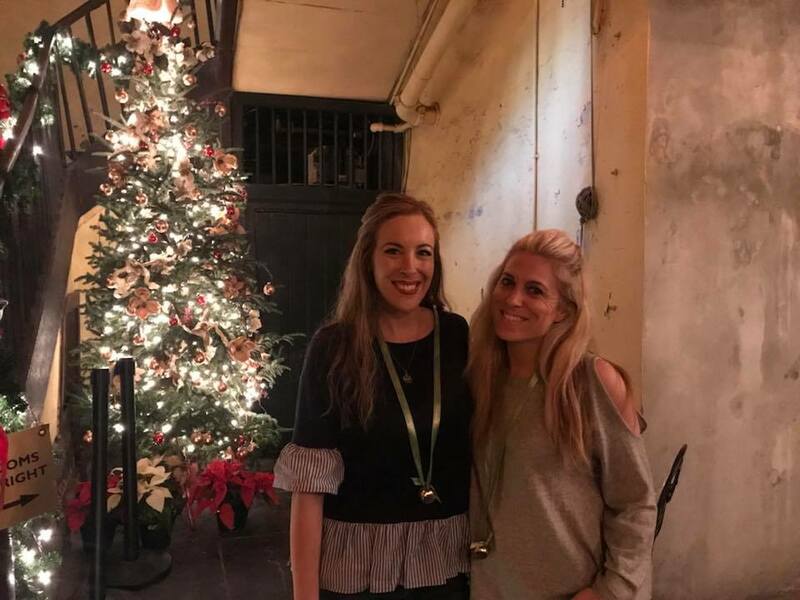 We also loved Acme Oyster House when we visit New Orleans. By far, it’s the best food city in the country. I am dying to get to NOLA just for the cuisine. I’ve heard excellent feedback about Cafe du Monde so that would be my first stop. Thank you for the suggestion on getting a beignet at Cafe Beignet. 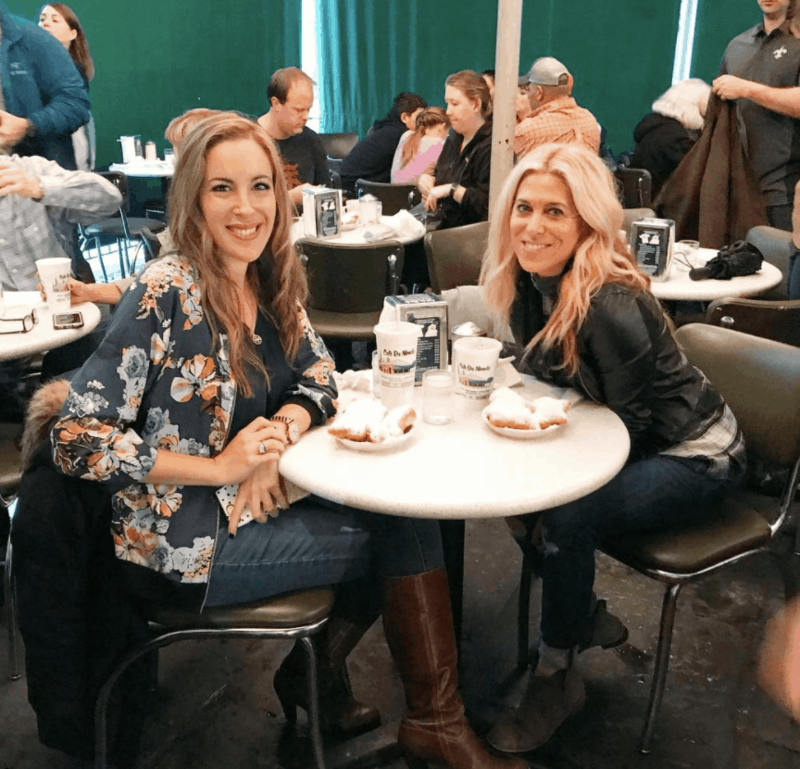 I can’t wait to try an authentic beignet and we’ll definitely add a visit when we make our travel plans. I could spend all day eating in New Orleans. One of my favorite places. 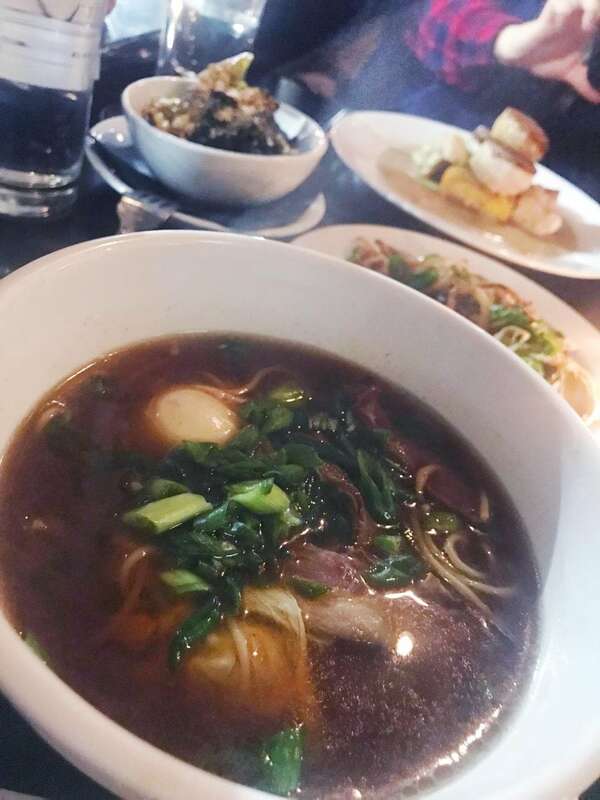 I wasn’t sure if I could make it halfway through the post because the food pics are really making me hungry! 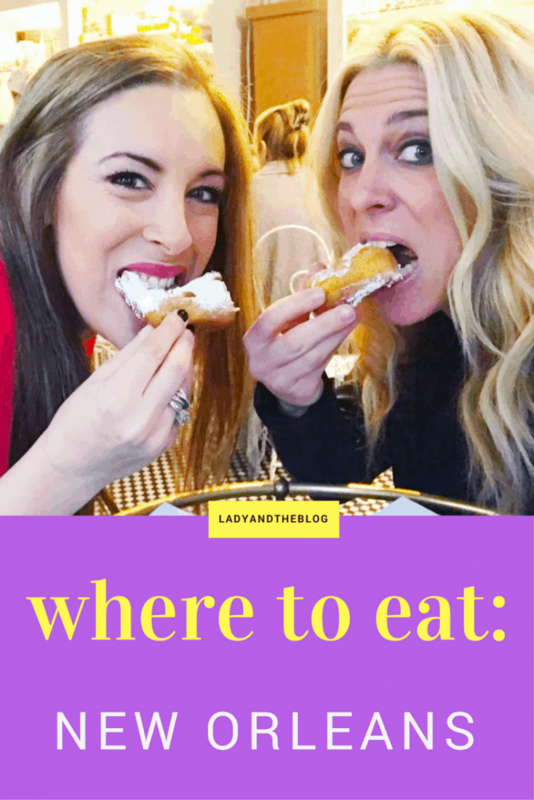 I think these are awesome places to check out especially if you love good food! New Orleans is the place to be for foodies and this post is proof! I seriously want to plan a road trip there and just eat out at all the places that you mentioned! SOOOO good! Nothing compares to southern food! I was drooling looking at those food photos. OMG. I wish I lived closer! 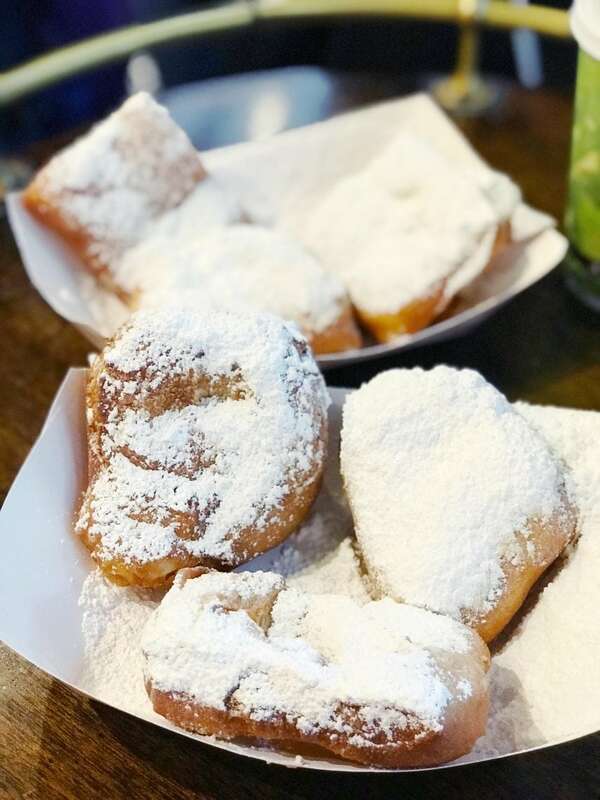 New Orleans is definitely a foodie paradise. Hard to pick from your list of amazing options. 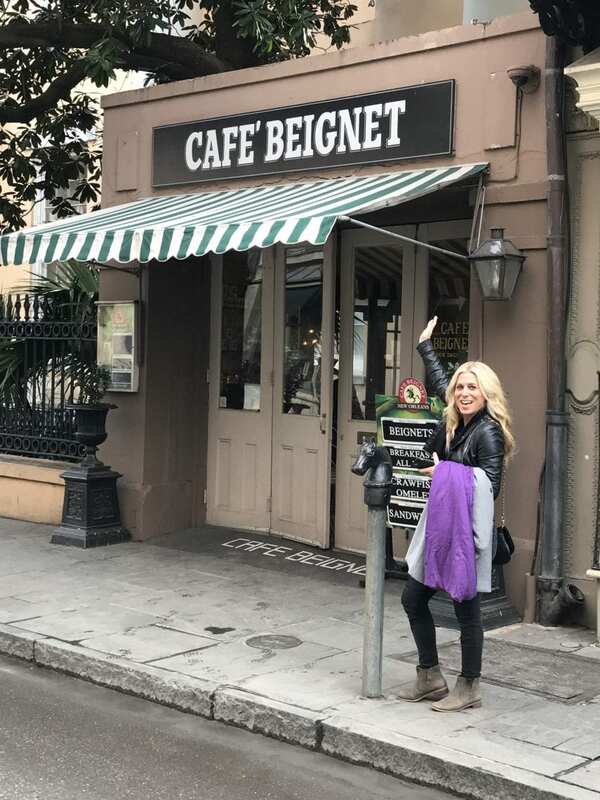 The beignets definitely will be a must for me. I have a New Orleans trip coming up in Mid February. I hope the weather cooperates. I think the shrimp and grits will also be on the list. I am not a desert person but the chocolate desert looks amazing. Thanks for the tips.